Not so long ago, endodontic treatment was completed with hand filers and reamers. 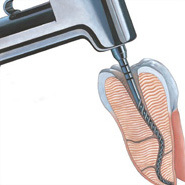 By way of modern day technological breakthroughs, carrying out a root canal using a rotary file system is simpler and a lot more comfortable for the individual. The use of the rotary file system allows the doctors at West Mill Smiles far more control allowing them to conduct highly precise treatment. 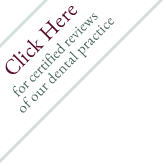 To the patient it indicates a root canal that will take less time, is far more comfortable and more precise.